NG Trains | IT’S ALL THIS MANS FAULT! IT’S ALL THIS MANS FAULT! Well, that was a bit of an EPIC weekend. The 25th & Final Narrow Gauge South West Exhibition. I’ve been to most of them, starting as a demonstrator and then as a trader. 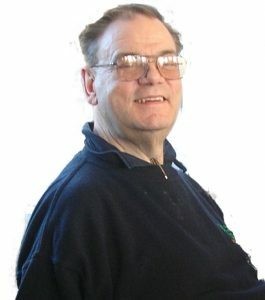 In all that time I have known Howard Martin, the organiser and fellow modeller, and we’ve been good friends throughout. Anyone who knows Howard will know he’s had a few medically challenging years lately which make achieving the 25th show an even bigger landmark than the simple number would portray. For a few years, through the worst of it, he’s been determined to do the annual show and set himself the target of getting to the 25th show and making it a cracker. Now before I go any further I need to make the point that it isn’t just Howard that does the show, he has a loyal band of helpers but I think they would be amongst the first to say its Howards show. There has been a thread on the Narrow Gauge Online Forum in the run up to the show promoting it. Another started after the show has loads of photos of the 65 layouts at the show along with lots of comments saying, basically, cracking show shame it was the last. I wanted to add my bit to that, and I have commented on the forum, but I felt the need to say something more. I felt 25 years needed marking. What to say though? So, I sat back and thought about it for a while and then I realised something. 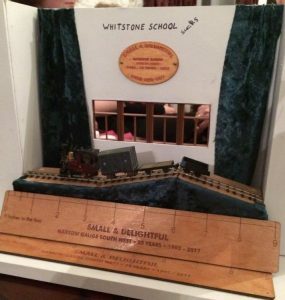 Twenty Five years ago I didn’t run a business, didn’t build models for other people, wasn’t involved in organising shows and open days and was a dormant member of the 7mm Narrow Gauge Association. As far as I can check about 22 years ago, I was persuaded to do a kit building demo at an early Narrow Gauge South West. There were a couple of stands arranged around a pillar on the upper level near the catering. It was an odd shaped space that wouldn’t suit a layout so I sat there with my soldering iron and built a kit. 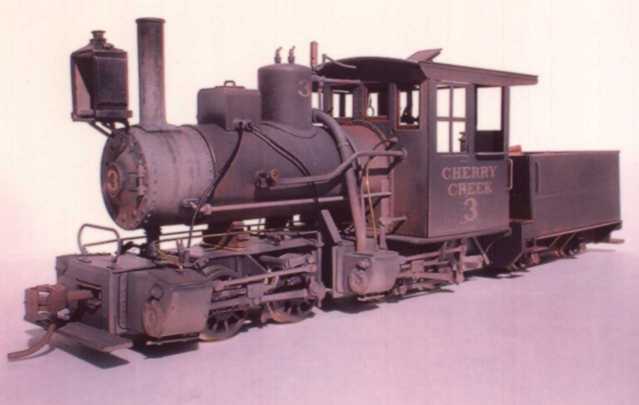 It was one of these, a Backwoods Miniatures 0-4-4-0 Mallet. The build created a lot of interest and through the day one visitor to the show offered to buy it off me. Back then I was building it for me, no interest in building for others, but this chap was persistent and became more so as the day wore on. In the end, I just said a big number of £££££ to make him go away. Clearly, should have gone higher because he paid up and I completed the loco for him. Looking back that was the start of what became EDM Models and now my full-time job. So you can see IT’S ALL HIS FAULT! But that’s only one thing on the list to blame him for but it’s not the end of it. I can’t remember how I got roped into it but I ended up on the 7mm NGA Committee as membership secretary but as Howard was the Chairman at the time he probably had a hand in it. So, IT’S ALL HIS FAULT. Twenty-Five years is a cracking run for one team to organise an exhibition that is rightly regarded as one of the best and a regular fixture in the Narrow-Gauge Calendar. None of us are getting any younger so to the organising group it makes sense to manage ones exit, get to a landmark and then leave in style and that they certainly did. The show has always been a friendly affair but with some comical incidents along the way that have become legendary. A constant theme has been the school changing shape, adding walls, removing walls, bolting things to the floor in the way, digging the car park up or covering the entrances in scaffolding. They seemed to have an uncanny knack of doing it in between a visit to check the place and the date of the show resulting in some rapid re-planning on Friday Night and Saturday morning. Oh, I’ve done it now. I mentioned planning. Legendary amongst exhibitors and traders are Howards elastic tape measure and nine inches to the foot ruler. Layouts that fit on paper don’t fit on the day despite the plan saying they should resulting in some more manic re-planning. Over the years, we’ve taken the mickey unmercifully but actually, on reflection, it’s not a bad way forward as each time it’s happened it’s been sorted out. It’s legendary to the extent that it’s expected and, better still, accepted. It happened to us at the last show. EDM Models and Port Wynnstay Models have for the last few years had the naughty boys spot in the corridor outside the headmaster’s office and just fill the space. This year Phil from PW also brought his layout. Two stands plus a layout were about a foot longer than the available length. We just reorganised the EDM stand, turned a table through ninety degrees and utilised some otherwise dead space on the other side of the corridor. 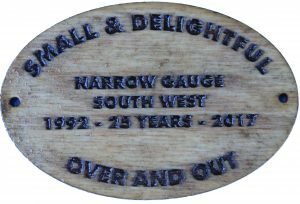 For the final show, it had to be marked and afterwards Howard was presented with this little trophy featuring the nine inch to the foot rule and a layout adapted to fit. Whilst it’s sad that this was their last Narrow Gauge South West show it’s not the end for the Small and Delightful Railway Group. They remain a social group making visits to the real railways that inspire them and they will continue to organise their own version of the open day so we’ll still see them around. Anyone reading the above post in isolation will be wondering what this exhibition was all about. Below are links to two videso, a blog and a photo gallery. I had to look at them to see what I had missed and I was at the show! That just about sums the Show and Howard up. The works plate is still to be attached to my layout but it will be before it visits the Preston Show. What a fantastic and lasting tribute to what was, in many people’s opinions (including my own) the best of all the specialist NG modelling shows. Thank you for this Paul, very much appreciated. I hope to have my own contribution to the photo-fest included as soon as I can get the 500+ photos I took sifted, made presentable and sorted out (could take a while!). We will all miss the annual outing to Shepton very much. Huge thanks to Howard, Barrie and everyone on the team for their hard work and commitment over a quarter of a century. I’ve now uploaded my own photo report of NGSW and have endeavoured to include at least a few photos of every layout that was present, plus a selection of trade and society stalls (including your own), with a listing of those that I couldn’t fit in. If you want to include my report in your links to photos then please do so with pleasure, using the website address below. Can you wrap it please? Paul Martin on Can you wrap it please? Rob Nesbitt on Can you wrap it please?